State of the art equipment and eco friendly products form the foundation of our 8 step service. Our solutions are safe for you, your family, pets and your carpets. Deep cleaning carpeting will have the following benefits. 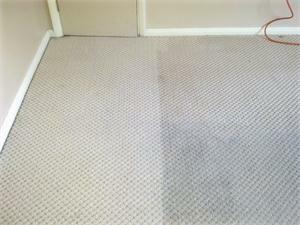 Restore a healthy environment, removing dust and debris from the base of the carpet. Regular maintenance plans available at competitive pricing. I have been professionally cleaning carpets for over 20 years. If your carpeting needs a freshen up or a problem solving deep clean Arena Cleaning Services have the knowledge and experience to fulfil your requirements. Our cleaning process will remove ingrained dirt, lift the pile and restore your carpeting to it's former glory. We are Woolsafe aware. I have a choice of solutions that are specifically designed and recommended to work with wool, wool rich and blended carpets, these solutions are also suitable for synthetic carpeting and are perfectly safe for the environment and you and your family. When we clean we restore the carpet to its natural state, Friendly to the environment, safe for you, your family and your pets. No harsh chemicals, no false scents, no optical enhancement, detergent free means no re-soiling you can be sure it is a pure clean. I also offer a carpet restoration service. This is required when all else has failed you and it's either clean it or dispose of it.. Next to the purchase of your home you invest a small fortune in your carpeting and it's my job to safe guard that investment by cleaning them properly. Public houses and restaurants suffer from oil, grease and alcohol tracked across the pile. This can harden to crust and end up looking like a tarmac road. We refer to this as black top. All is not lost, we have specialist cleaning agents that can deal with this situation but it is important than any restoration work is neutralised with our specialist rinse solutions.